Apple TV was first introduced ten years ago at the end of 2006, but unlike the blockbuster iPhone it merely remained a "hobby" over the last decade until finally getting some real attention last year with the 4th generation overhaul. Here's a look at what we're likely to see about the future of tvOS from Apple at this year's Worldwide Developer Conference. 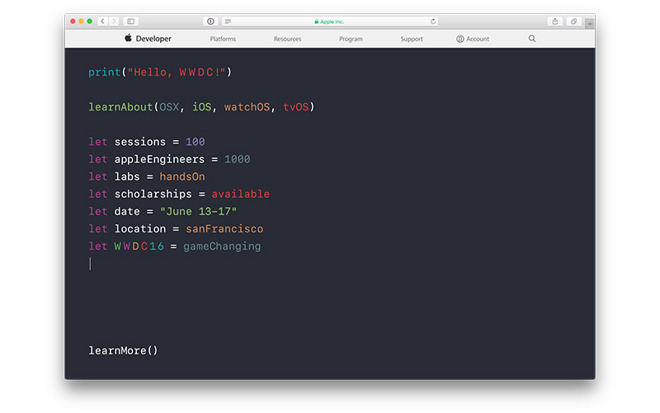 WWDC is all about software, as it is the company's annual meeting with app developers, accessory partners and others who interface with Apple's platform APIs. While the company as occasionally debuted new hardware at WWDC, in recent years the event has focused almost entirely on new software releases (iOS, Mac OS, watchOS and iCloud) and ways developers can make the most of Apple's platforms. While iPhone and iPad both have exclusive features, their overall user interface and interaction model is essentiality the same. Apple TV isn't. It uses a Bluetooth 4.0 remote with motion sensors, buttons, a touchpad and voice commands handled by Siri. That gives tvOS as big of a reason to be distinguished from iOS as watchOS, even though all three software platforms are closely related. Despite leveraging web standards to build an interface, Apple TV doesn't try to be a web browser on TV. Instead it sticks to the app-centric model of iOS. At its introduction last September, Apple's chief executive Tim Cook even said "we believe the future of television is apps," rather than the typical convergence of PCs and TVs that's been repeatedly tried by Microsoft, by Google TV and many others, without success. Apple has also made it straightforward to migrate existing iOS titles to Apple TV, and enables third party developers to bundle their titles so that a purchase made on one device sells the title across Apple's others. There are a series of iOS APIs that are currently not part of tvOS however, including things like support for Contacts and Calendar, HomeKit and HealthKit, Telephony and Messaging, MapKit, Notification Center and WebKit. 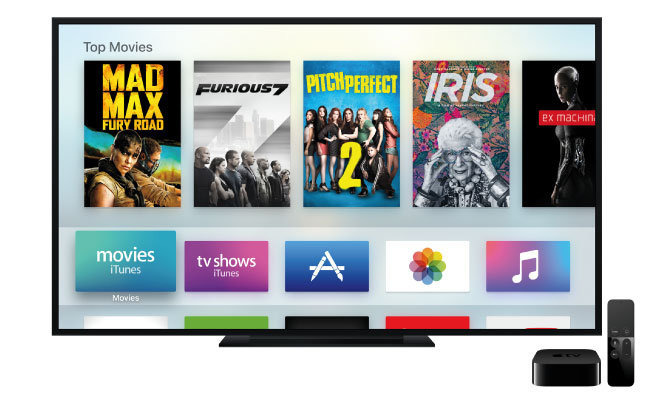 There are a number of ways Apple could bring some of its iOS features to Apple TV. One obvious feature would be iOS 9's iPad picture-in-picture, letting users watch multiple content sources at once, or keep an eye on a game while focusing on something else. Another is iOS 9.3's Night Shift, which changes the color temperature of the display in the evening to prepare your eyes and brain for sleeping. If it works on your iPhone and iPad, it should also work on your Apple TV (and Mac). Along with the time based Night Shift, it would also be nice to see a Dark Mode or the ability to customize the color palette used in Apple TV menus. Currently Apple TV only supports one Siri Remote, but can handle multiuser games by using iOS devices as additional controllers (or using standalone game controllers). Apple is likely interested in improving the Continuity of links between its devices, and has made some progress with its iOS Remote app, although it'd be handy to get full Siri Remote features using the app on your iPhone, including the ability to invoke Siri on Apple TV to search for content. It would also be clever if the Remote app could allow you to mute your TV and play back audio through your iPhone's headphones, allowing you an easy way to privately watch TV without disturbing others. Currently, you can only do this directly with Bluetooth headphones paired to Apple TV. You can also already pair Apple TV to Bluetooth speakers such as Beats Pill+. However, Apple TV currently appears to lack the iOS app support needed to do stereo imaging between two devices. It would be ideal to enable users to arrange multiple wireless speakers for surround sound, particularly if each of those speakers could also optionally be used as a remote charging speaker for mobile devices. We also previously discussed that Apple could add Hey Siri support to its wireless Beats, making it possible to pick up voice commands and either answer them directly, forward them to Apple TV, or to your phone or Mac to pull up additional information as needed. Borrowing Continuity features from the Mac, Apple TV could gain the ability to provide notifications of incoming calls, FaceTime or iMessages. Using a Bluetooth or USB camera, Apple could make its TV box a very low cost teleconferencing system. Another reason you might want to have messaging on Apple TV: social network conversations related to what you're watching, whether its an amateur live broadcast or a movie or series you're binge watching. In an educational setting, being able to have a conversation or chat while viewing the same source material could virtually bring remote rural students right into a distant classroom. Additionally, Apple TV could use support for iOS Game Center social networking related to watching programming, not just in games. This would enable people to watch entertainment or educational content with a social circle, supporting either sharing the episodes they've watched and want to discuss, or in finding a friend circle of people who like similar content--anything from film classics to current TV to genres like scary movies or special interest videos. As the powerful underpinning of Apple TV, tvOS can support a broad range of interactive content that goes significantly beyond competing streaming devices that are optimized for basic playback of static content. Other iOS apps Apple is likely to bring to Apple TV include its Apple News title, possibly optimized for video-oriented news discovery. 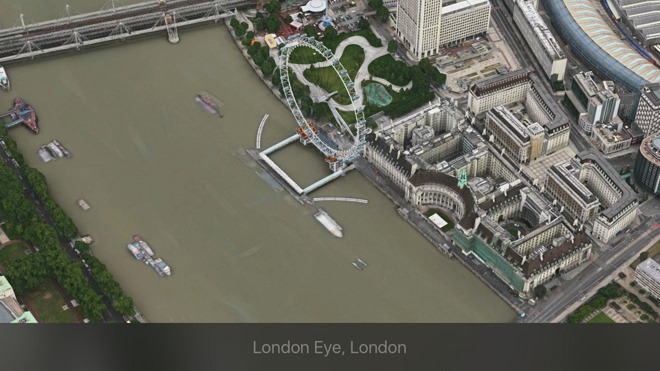 Another missing title from Apple is Maps. 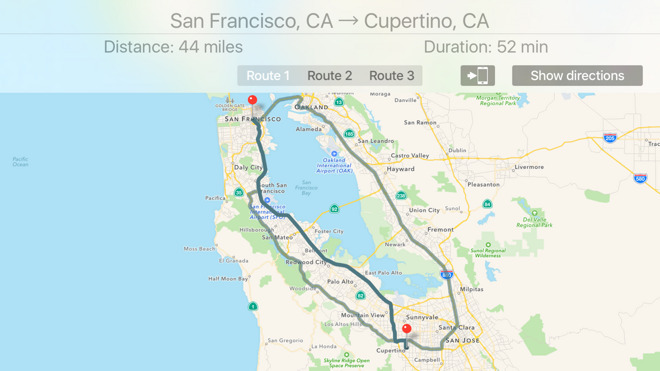 German developer Arno Appenzeller created a $2 tvOS TV Maps app, bundled with an iOS companion title, that "makes it easy to find places, search for directions or just discover beautiful 3D maps on the big screen," then forward your route to your phone. Apple TV could make the optimal management device for releasing a Home app for managing installed devices and organizing them into "scenes" with conditional triggers, such as turning on your lights when you approach your house, but only if its after sunset. Apple could also merge in support for managing your home's AirPort Base stations, and even provide help with base station placement optimization and smart network troubleshooting. An all-in-one home management app could also work as a Find my iPhone (or Watch or Mac) tool, as well as providing a central place for remote configuration and control of all your HomeKit and iOS devices. While Apple TV does a good job of handling effortless AirPlay wireless audio or video distribution from Macs or iOS devices, Apple should also deliver an accessory device that brings AirPlay to any HDTV via a Chromecast-like AirPlay USB dongle, serving the role of AirPort Express. This could help further popularize AirPlay, making it easy to use iOS devices with most any HDTV or projector with USB input, without requiring multiple cables or carrying around a larger box. Another feature Apple could add to Apple TV itself is the ability to download and cache iTunes Store videos on a USB drive or network server, a particularly useful feature if you have slow Internet and want to pre-download multiple shows for smooth playback later. Currently, Apple TV doesn't really try to cache a movie internally, even if it has available storage, and typically seems quick to dump any cached data. Expect to see a clearer picture of Apple's ambitions for its new tvOS platform at WWDC, one that not only focuses on the home TV, but also recognizes two other markets that have long had an interest in the product: education and the enterprise. What else would you like to see in tvOS 2? Let us know in the comments below.